What does it take to make it in this business without compromising your artistic integrity? The answer’s clear: go independent. 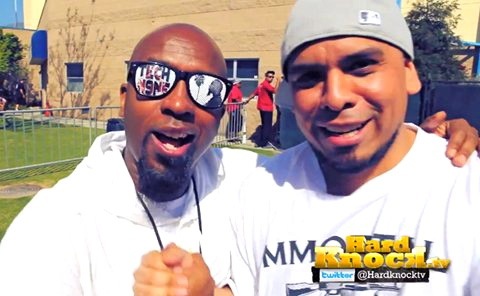 Take it from these two, some of the most provocative emcees in the game: Tech N9ne and Immortal Technique. We have to have complete autonomy with what we talk about, ’cause motherfuckers ain’t trying to hear it! “No, maybe you shouldn’t say that! Maybe that’s a little bit too political!” It CAN’T be! For anyone wondering how to move units while being themselves, this interview is a must watch. If you were to pursue a career in this business, would you try to get a record label or would you go independent?